 Welcome to Ashlar Apartment Homes! Our spacious, thoughtfully-designed apartments, located in Fort Myers, FL, offer one, two, and three bedroom floor plans. Features include fully equipped kitchen with GE appliances, 9 ft. ceilings, generous walk-in closets, private entries, soaker tubs in master baths, and in-home washer/dryer. At Ashlar Apartment Homes you are privileged to many community amenities, including resort-style swimming pools, state-of-the-art health club, beautiful water views, attached and detached garages with extra storage, clubhouse with business lounge, and two dog parks. Our pet-friendly community welcomes you and your four-legged family member.